And this little piggie stayed at home, for the time being that is! This little pig has been a journey for me! It took ages to try and find the right pig head fabric, and in the end I had to use a cushion bought from my local furnishing store. But it was worth the search as she is wonderfully soft and silky. 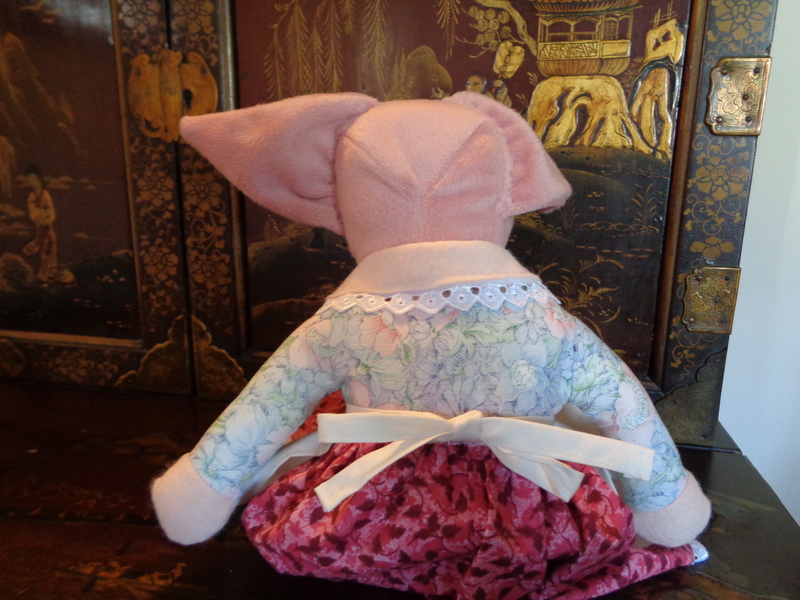 And the plush fabric is much more fun as a pigs’ head than a boring cushion! 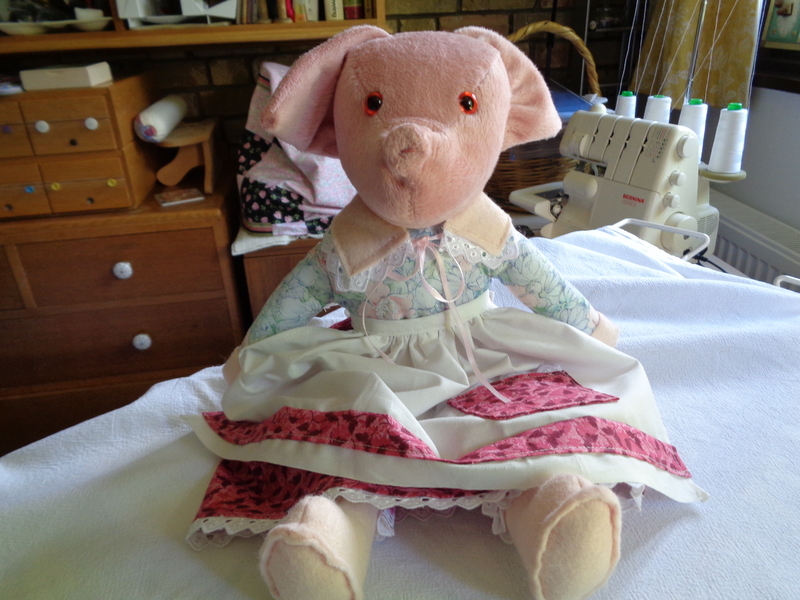 I am wondering whether to make her a partner as it would be nice to have a family of pigs, I could even make smaller piglet versions! 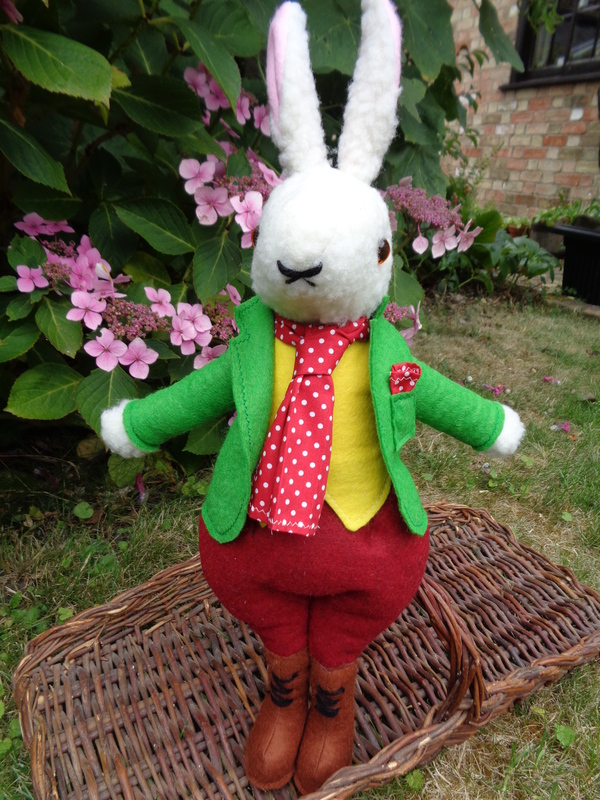 In fact I could make a whole farmyard of animals to add to the rabbits and pigs. 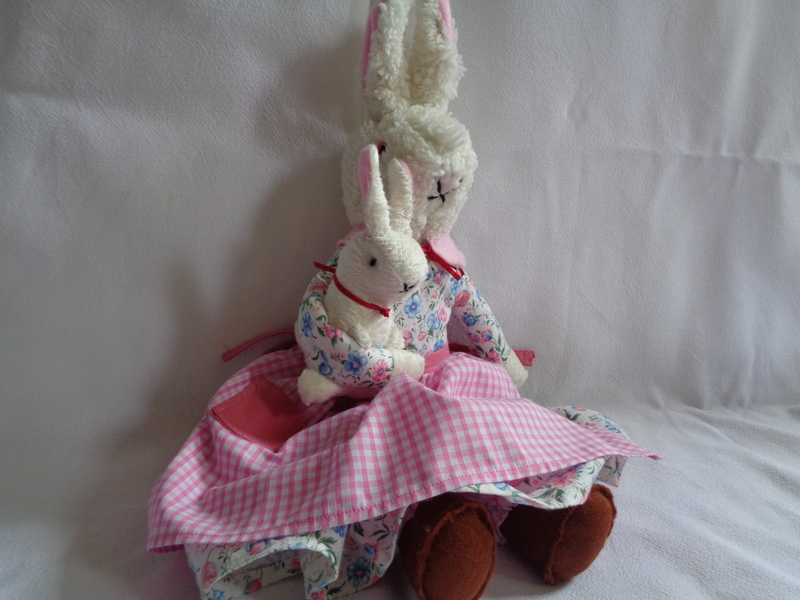 I mustn’t get carried away, a dress pattern has just landed through my door. A nice thick one in sizes 4 – 16 so in case I don’t get round to making it up soon I need not worry about increasing from my usual size 10. It was supposed to be for a family meet up this week end but I take ages to cut out and sew something even if I had the fabric. Here is a shot of Peonies’ rear view, think she may need fattening up a bit! “Goodbye” without even a back wards glance!